As always, the number one piece of advice is to wear a moisturizer with SPF every morning, like Elta MD SPF 40 moisturizer. 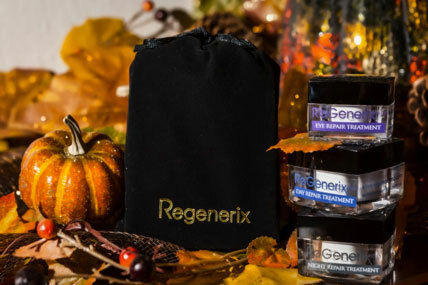 Use a good moisturizer with peptides morning and night such as our ReGenerix MD Day cream for morning and Night cream for evening. Botox©, Dysport©, and Xeomen© can be used to tighten the jawline provided an injector familiar with injecting the neck is doing the treatment. Truth be told, there is not a ‘homerun’ anti-aging treatment for the neck like there is for treating the face. Even my patients who have a surgical neck lift are not completely happy. I think that it just speaks to the fact that treatments do not work as well on the neck as they do on the face; so, expectations need to be lowered. 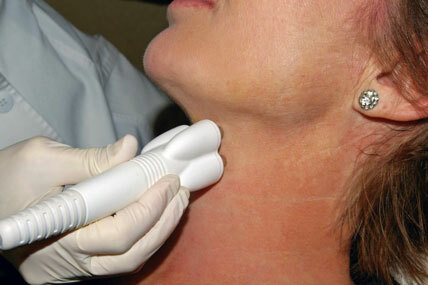 Having said that, there are some treatments that can improve the neck. The treatment I like best is Venus Freeze© which is a procedure that is FDA-approved for loose skin on the lower jawline and neck. It uses radiofrequency and magnetic pulses to tighten the skin. Six treatments performed over six to twelve weeks (one treatment every week or every other week) is recommended and, afterwards, getting a treatment every three to four months helps to maintain the improvement. The treatments cost approximately $200.00 to $250.00 per treatment, take about 20 minutes, are painless, with minimal to no side effects or risks. But, does it work? Again, most patients will see improvement, however, if you are over 60, it may take twice as many treatments. If you have a double chin, it probably will not work. In patients with a double chin, combining the procedure with liposuction gives the best results. Liposuction under the chin can be done with just a local anesthetic. Patients who have liposuction under the chin have to wear a Velcro “chin girdle” for 72 hours and can have bruising and swelling. With fall here it’s a good time to enjoy the turtleneck and scarves of the season, Have a Happy Thanksgiving!! !